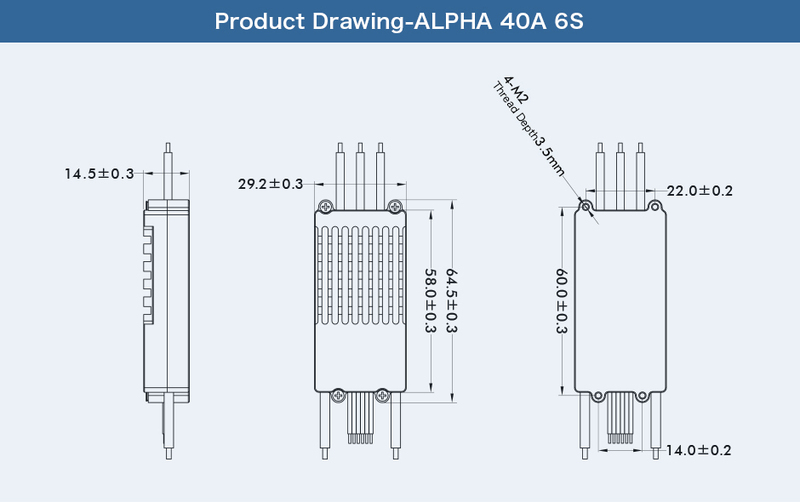 Low noise ALPHA 40A 6S T-motor ESC Featured with low voltage, fast response and linear throttle, Low interference and high efficiency. ALPHA ESC has faster responses with less pulse current and steady startup as compared with traditional square wave driving. This Tiger motor ESC contains over current/Motor Lock-up/short circuit/Low voltage protection. Its Intelligent design enables ALPHA ESC to timely detect parameters as to voltage, current and temperature.